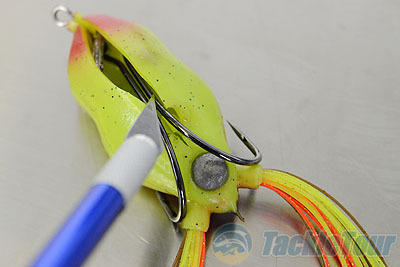 Introduction: You asked for it, a frog autopsy, and we kick things off with one of the most popular walking frogs on the market, the Snag Proof Bobby's Perfect Frog. Somewhat reminiscent of a high school frog dissection we head to lab with blade in hand. Bobby's Perfect Frog: There are a lot of frogs on the market but chances are if you are a frog fisherman you have a few offerings from Snag Proof in your tackle box. Snag Proof makes of the most popular frogs on the market and their original Moss Master has accounted for some serious wins on the tournament trail. 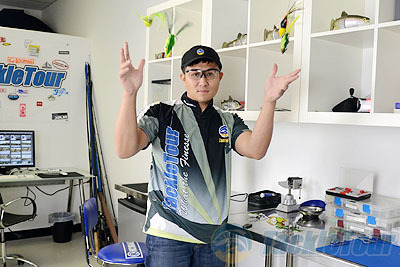 Western Pro Bobby Barrack has been using Snag Proof Frogs for over a decade and a half and has turned to them to a great extent to obtain the exact walking action he desired. He officially partnered with the company and introduced a signature version to make these tweaks available in an off the shelf product. "Bobby's Perfect Frog" is designed to be fished right out of the package and is among the very best walking class frogs on the market. The biggest difference between this frog and the original is the elimination of elongated thighs. This reduces water resistance and allows the nose of the frog to move more freely in a tight side to side pattern. Into the Lab: If you have ever fished this particular frog you know it takes a little bit of practice to get it to walk perfectly. You probably also have had on many an occasion had to squeeze out water from the frog when it has gotten swamped. Like many other hollow bodied frogs Bobby's Perfect Frog features a large cavity in which the lure's actual hardware is rigged inside. 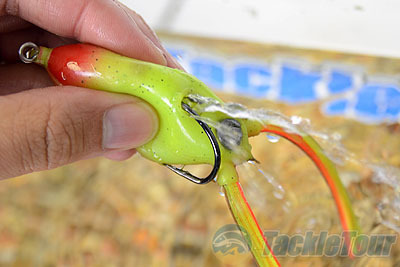 The exit where the frog hooks come up and out along the side of the lure can take on water. 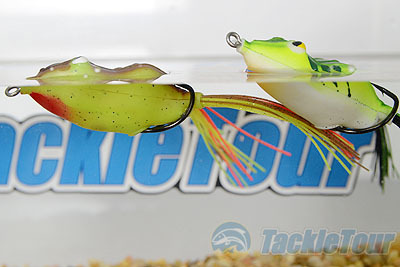 This is one of the major difference's between the Perfect Frog and Ish's new "Phat Frog" which features a inner tube design that seals the hook and line tie from the rest of the body so water cannot enter the main cavity of the frog body. 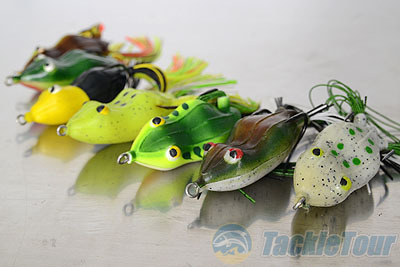 The Perfect Frog is available in a wide range of colors that differentiates the lure from other Snag Proof frogs that are offered in more traditional patterns like Green, Brown and Chartreuse. Since Bobby is a West Coast Pro many of the colors were born to fish local bodies of water including the white bellied patterns for the delta and the striking yellow and black Tweety pattern that is absolutely deadly on Clear Lake. 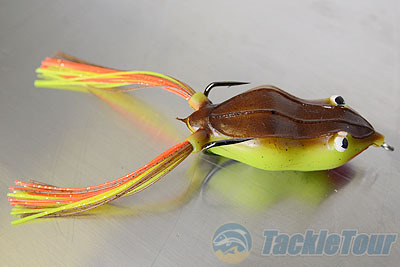 There are many other combination patterns including the Brown Bullfrog which features a yellow body and bright yellow and orange skirting for the legs and "Fred's Frog" which features a multi-color back and a white belly and orange throat. But it isn't all about West Coast patterns, new for this season are even brighter colors including Florida Bass, Tule Perch and the blue and chartreuse KC Dragonfly. Next Section: Let the Autopsy Begin!